This Blog is focused on offering the reader information on two very useful resources focused on Critical Infrastructure and Key Resources (CIKR). 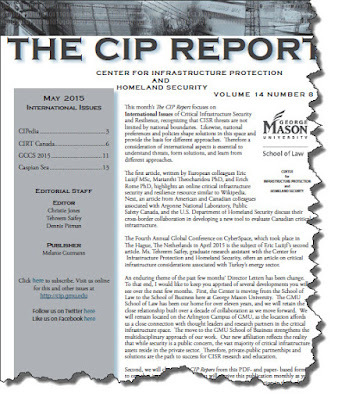 And, because of the George Mason Monthly CIP Report, I was informed about another European-centric CIKR resource the student and professional may be interested. 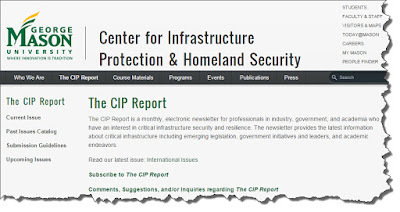 You can subscribe to The CIP Report at no charge by going to this LINK. 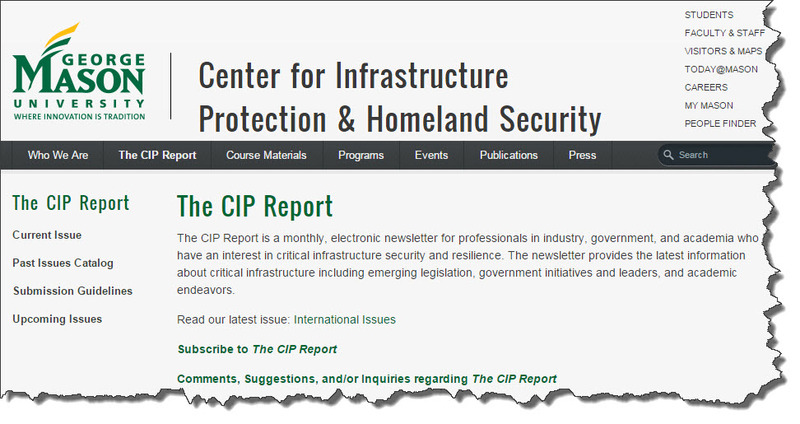 Each month I look forward to this newsletter which is really more like a Journal focused on Critical Infrastructure Protection issues facing the US as well as globally. As a CIKR professional you should benefit from the contemporary commentary in these monthly analyses. This month the immediate benefit from The CIP Report is an article prepared by three very notable European experts in the field of critical infrastructure and resilience. 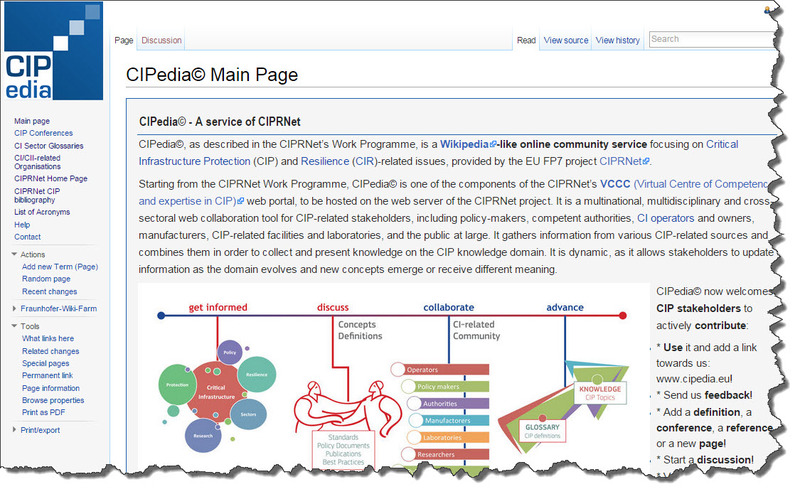 The article is prepared around the CIPedia (www.cipedia.eu) web site which is a "...Wiki-based body of common knowledge for the wide international community of critical infrastructure (CI) protection and resilience stakeholders such as policy makers, researchers, governmental agencies, emergency management organizations, CI operators and even the public." According to the article in The CIP Report the CIPedia is developed within the European Critical Infrastructure Preparedness and Resilience Research Network (CIPRNet) project. Essentially, CIPedia is an international glossary on CIKR information. CIPedia went public in mid-2014. Of note, CIPedia is more than just a glossary -- as a CIKR portal it provides access to a list of CIP-related conferences, a table with web pointers to CIKR sector-specific glossaries and a pointer to the CIP bibliography. 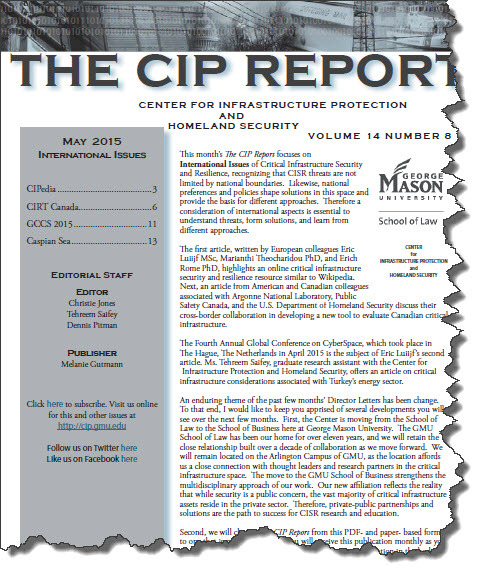 If you are involved with Critical Infrastructure as a student or policy professional you will probably find the George Mason monthly report very useful and timely. Secondly, access to the CIPedia and to the CIPRNet will increase your access to new documents and papers on CIKR from an European perspective. For myself, just wandering around the sites for a few minutes surprised me at some of the work being done in Europe on cascading events studies, as an example. Take the time to subscribe to The CIP Report and be sure to save the links to the CIPedia and CIPRNet.